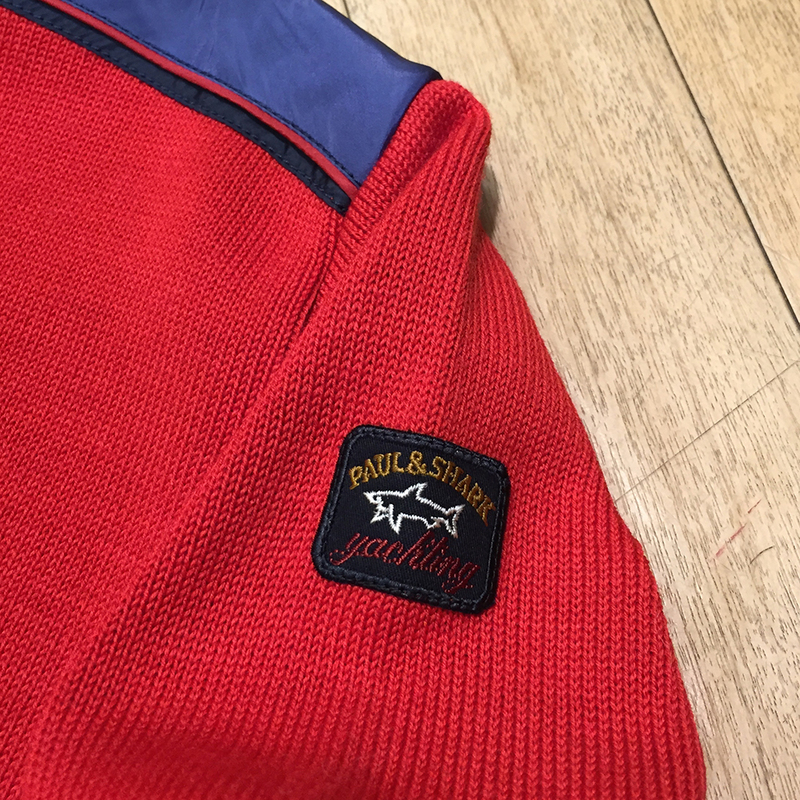 As one of Italy’s foremost lifestyle brands, Paul & Shark have been setting the standard when it comes to performance casual wear that is going to take any of the rigours of modern life well within its stride. Inspired by a trip to a sail makers work shop in Maine, USA, Paul & Shark has become one of the most iconic brands on the high seas, translating fashion from the docks to the high seas and back again to the towns and cities. 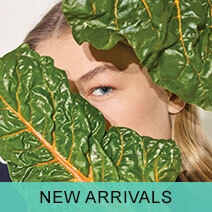 With a concentration on quality, high performance materials and designs, Paul & Shark crafted themselves a reputation for elegant Italian design that mixed protection from the elements effortlessly well without sacrificing a high end style. 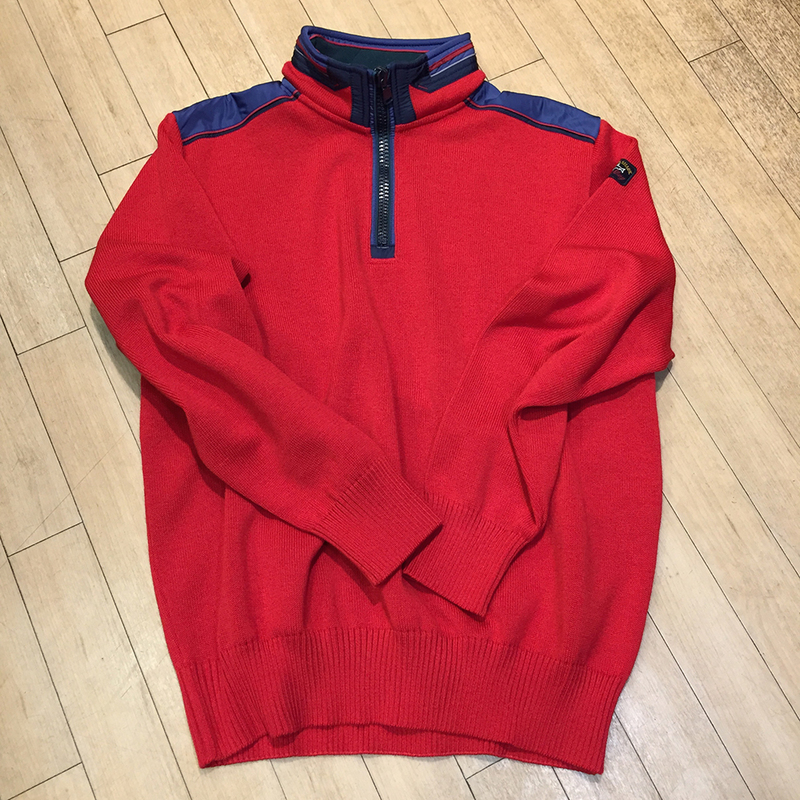 The Paul & Shark half zip knit jumper is the perfect embodiment of the Italian fashion houses high specification philosophy, feature a technical design that still has an air of Italian flair. 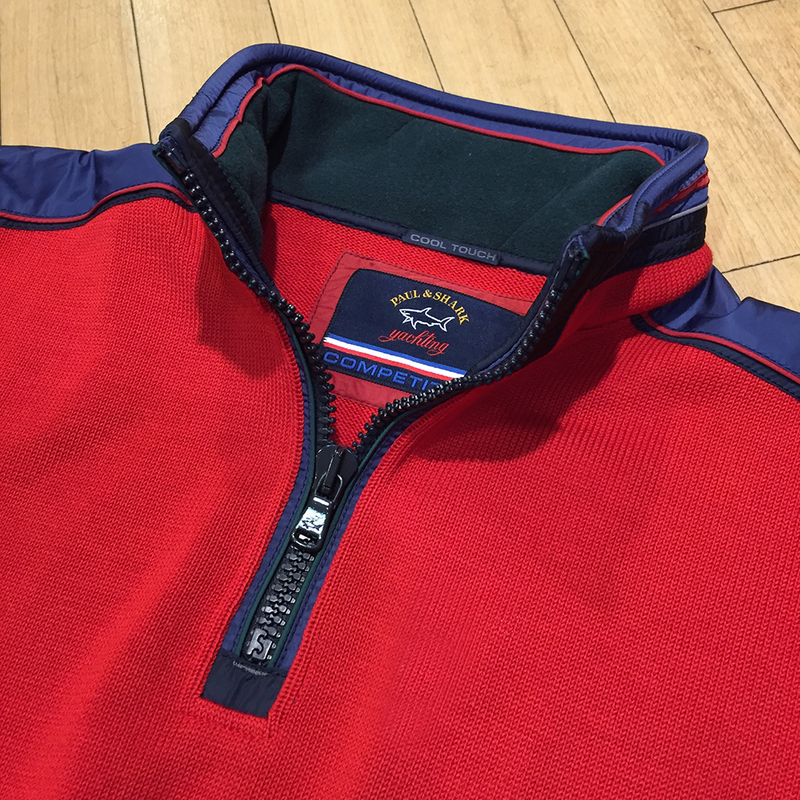 From the contrasting details along the shoulders and zip closure, to the Paul & Shark yachting badge on the sleeve, this garment is striking from every angle, thanks to its bold red colour way. The perfect piece for a dressed down casual style, this Paul & Shark half zip knit jumper is ready for a day around town or an afternoon at sea, combining the strongest elements of style and practicality to offer you the ultimate level of versatility.